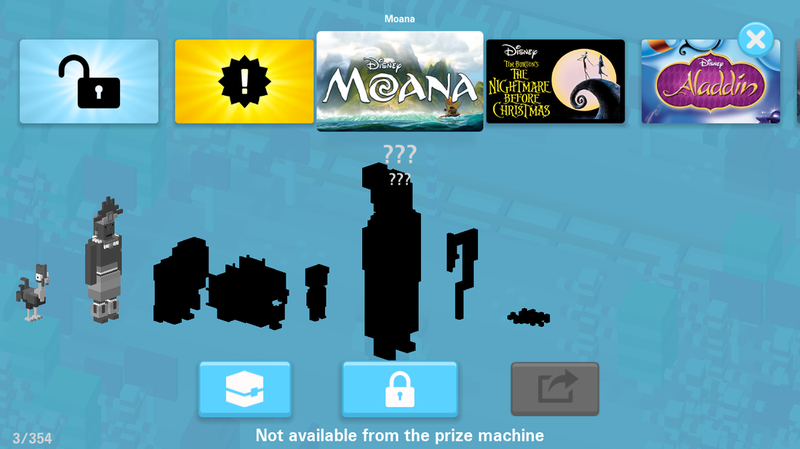 Moana Update Archive - Unlock all Secret Characters! The new Disney Crossy Road Moana Update from November 2016 was just released. If you have any tips & tricks how to unlock the remaining secret characters, please write us comments here! Get the characters Moana, Maui, Hei Hei and Pua to unlock the Frog Monster. Play as Hei Hei and collect 25 chicken feeds. Play as Grammy Tala and die 25 times. Play as Toddler Moana and find the fish hook within the level. NEW #6 ??? - ??? The unlock is not unknown. If you have any idea, tell us in the comment! Special thanks go once again to YouTuber DaMobile Mob for providing a lot of the info! #1 Adult Nala - Action Unlock! Play as any character from the new Jungle Book movie. If you get struck by lightning twice you unlock Adult Nala after the the game is over. #2 Mufasa - Action Unlock! Play as Simba and spent at least 12 seconds near stampedes to unlock Mufasa. You have to spend as much time as possible right on the ground where the wildebeests (gnus) run. Hide behind a rock to not get run over. Characters: Simba, Nala, Rafiki, Zazu (Lion King) - This resembles the calm and peaceful beginning of the beginning of the Lion King movie. 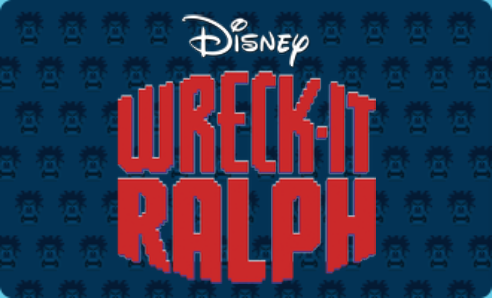 Character Guesses: Jerry Jumbeaux Jr ., Willy the Giant (Zootopia), Executiner, Wreck it Ralph and more. Unconfirmed. Let us know in the comments what worked for you! #5 Scar - Action Unlock! To unlock the Lion King secret character Scar, you have to get Mufasa first (by playing Simba and survive more than 12 seconds on the Gnu Stampede). Now you have to play Mufasa get back to the Gnu Stampede and get hit by a Gnu. This resembles the "Long live the king" scene, in which the villain Scar killed Mufasa. This will unlock Scare, who is the evil uncle of Simba and brother of Mufasa. This character can be unlocked by collecting 6 daily mission stamps. #7 Blue Beetle - Action Unlock! 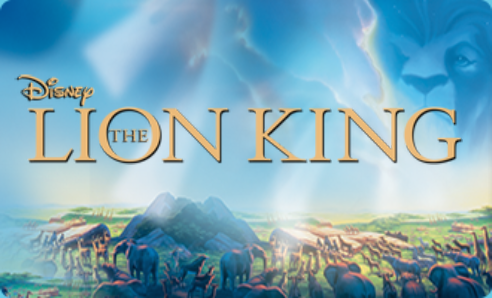 Play as Pumba (The Lion King) and collect 50 grubs. Added in the Monsters INC update. #8 The Rhino - Action Unlock! Play as Bailey and collect 20 Fish Food. When you die, The Rhino will be unlocked. NEW #9 Flower Mane - Action Unlock! Play as Simba and find the Flower Mane. Once you die, the character will be unlocked! Character guesses: Small and fat characters, like Grub (Lion King), Pascal, Mr. Big, Spider and others. #4 Gloyd Orangeboa - Action Unlock! Play as Rancis Fluggerbutter (secret character) and get a score of at least 1500 to unlock Gloyd Orangeboa. #6 Candy Corn - Collect PowerUp Unlock! Play as Ralph, Princess Vanellope (and maybe other Wreck-it Ralph characters) and collect 50 PowerUp Cherries to unlock the secret character Candy Corn. #8 Snowanna - Action Unlock! Play as Taffity Muttonfudge (Wreck-it Ralph) and get a score of at least 1500 to unlock Snowanna. #9 Crumbelina - Action Unlock! Play as Candlehead (Wreck-it Ralph) and get a score of at least 1500 to unlock Crumbling. #10 Jubileena - Action Unlock! Play as Gloyd Orangeboar and score 1500 points within 35 seconds. Once you do this and die you will unlock Jubileena. #11 Adorabeezle Winterpop - Action Unlock! Play as Crumblina and score 1500 points within 35 seconds. Once you do this and die you will unlock Adorabeezle Winterpop. NEW #9 Wedding Tuxedo Felix - Action Unlock! Unlock Wedding Dress Calhoun from Daily Challenges and find Wedding Tuxedo Felix in the game.